First-grade Aqua Aura in sterling silver. Aqua Aura crystals are a made by bonding molecules of pure gold to natural crystals by the inherent electric charge of the crystal. 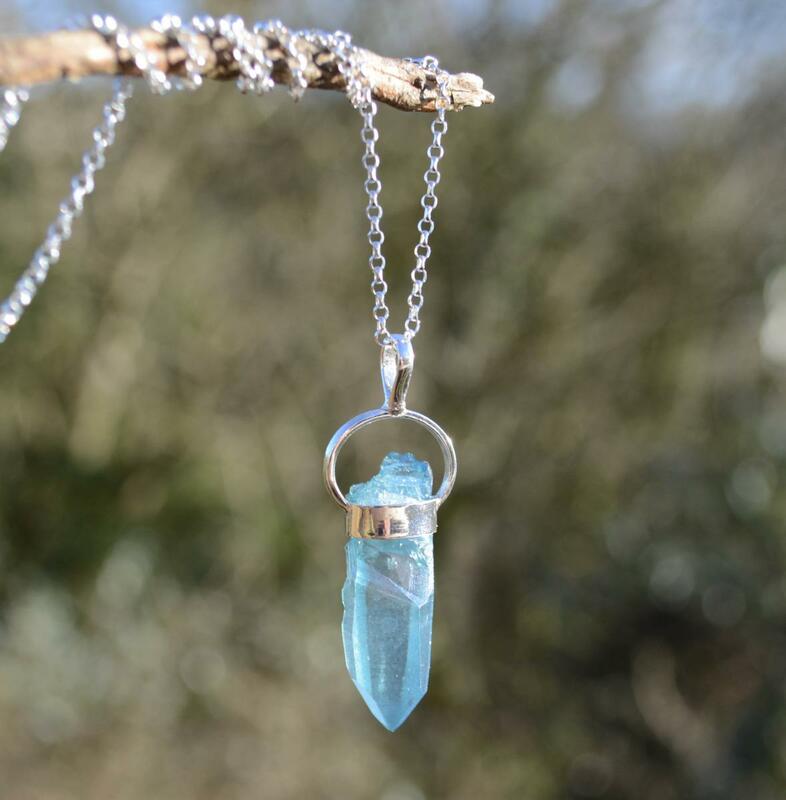 The gold then permeates the entire crystal and cannot be scraped off, creating this beautiful blue and an intense healing energy. "Aqua Aura quartz are crystals enhanced with pure gold; the molecules of pure gold adhere to the natural electric charge which surrounds the quartz crystal, and are not removed by rubbing or by scraping. These crystal combine both the properties of quartz and the properties of gold to produce a very intense energy. Stimulates the throat chakra and encourages "opening to channel"... has been used to activate other minerals for healing and to cleanse and to sooth the aura.” Melody, Love is in the Earth.